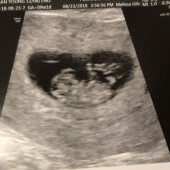 Baby Evans - THIRD's a CHARM! Maybe we'll learn our lesson after this? Third times a charm! Baby Boy expected early March 2019!